In the wake of a global refugee crisis, the world has been reminded of its rigid migration systems, which are ill prepared to handle unexpected humanitarian crises. While recent attention regarding migration has been focused on Europe and Syria, Central America is facing a deadly migration crisis of its own that has spanned decades and taken a turn for the worst in the last two years. 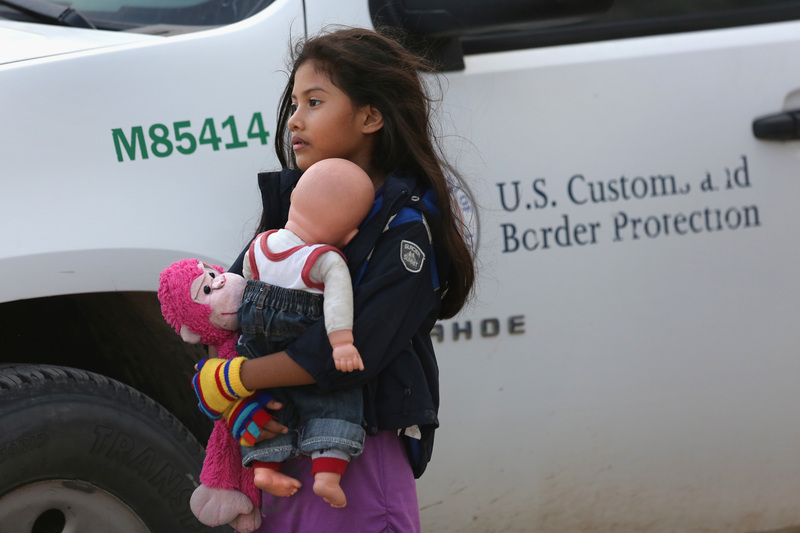 In 2014 the U.S. experienced a massive influx of migrants, primarily unaccompanied minors (UAC) and family units (consisting primarily of single mothers and their children), from a region in Central America known as the Northern Triangle. The Northern Triangle, which is made up of El Salvador, Guatemala, and Honduras, is a war-torn region that has been unable to reestablish itself after decades of civil war, producing seemingly irreconcilable economic disparity and proliferation of gangs and organized crime groups, with both domestic and international roots, that have taken the place of local governments and wreaked havoc on citizens. With some of the highest crime and impunity rates in the world as high—as 95% in some communities—citizens in this region are continuous victims of kidnapping, assault, extortion, and homicide, leading to this region being appropriately named the murder capital of the world. In 2014 Honduras possessed the highest non-warring murder rate, 90 homicides for every 100,000 citizens, and in 2015 El Salvador surpassed this number, facing a record-shattering rate of 104 homicides for every 100,000 citizens. While the Northern Triangle is not officially at war, its death rates are the highest of any non-warring country, which is one of the primary factors that has led to a massive increase in migration rates from this region in recent years, confirmed by the U.S., Mexico, and other Central American countries. While migration from the Northern Triangle has seen an upward trend in recent years, migration rates reached a peak in 2014 when tens of thousands of UACs and family units ventured to the U.S. seeking asylum. In response to such an influx, the U.S. resorted to “send a message” techniques, implementing a media campaign throughout the Northern Triangle that presented the deadly risks of migration along with bolstering its relationship with the Mexican government to prevent migrants from entering Mexico’s southern border. Such methods, however, failed to slow migration rates. Vanderbilt University’s Latin American Public Opinion Project (LAPOP) revealed that migration inclinations increased drastically if citizens were victims of crime in the preceding twelve months. Another LAPOP survey in Honduras revealed that citizens were aware of the risks of migration even before the U.S. media campaign, but such risks did not serve as deterrents, as the risks of migration were “preferable to a present-day life of crime and violence.” In fact, it was later revealed that many of the migrants fleeing this region actually qualified for refugee status, but the United States reverted to “send a message” policies as opposed to ensuring citizen safety. More than two and a half years later, the prognosis of this region has not improved and migration rates are still steadily rising. Between October 2015 and January 2016, the first fiscal quarter of 2016, apprehensions of family units and UACs increased by more than 100% in comparison to the previous year, apprehending 20,455 UACs and 24,616 family units. Apprehension rates for the first quarter of the 2016 fiscal year are equivalent to the apprehension rates for half of the 2015 fiscal year, revealing that the Northern Triangle migration crisis is a continuing phenomenon that is projected to worsen. Apprehension rates for the 2016 fiscal year are expected to shatter the 2014 record of 69,000 UACs and 68,000 family units, creating major logistical and humanitarian concerns for the United States, Mexico, and their Central American counterparts. 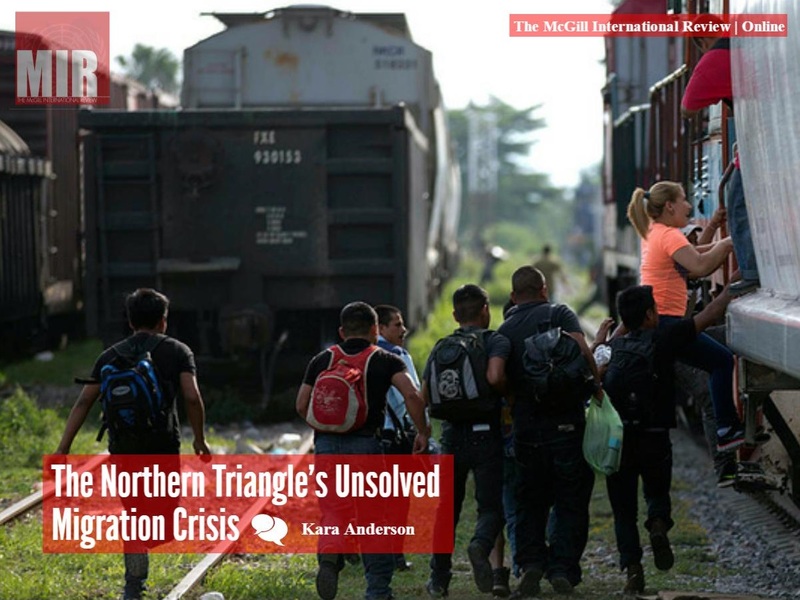 Solving the Northern Triangle Migration Crisis requires comprehensive action that addresses and isolates root causes, and while this is not new knowledge, many of the United States’ previous aid programs have neglected to focus in on these causes, which include government corruption, poverty, economic disparity, organized crime, and violence. While there have been several attempts to stabilize this region, these attempts continue to be superficial or lack sustainability. The most notable aid project has been the Central American Regional Security Initiative (CARSI); however, “CARSI does not represent a security strategy but rather a number of programmatic initiatives with laudable goals that operate largely independently of each other.” The main criticism of CARSI is that it “conflates crime and violence with drug trafficking,” leading to narrowly focused anti-trafficking operations, such as mass incarceration—which increases violence—and the creation of anti-narcotics forces as opposed to basic law enforcement officials, all of which ignores the crime and violence plaguing communities across this region. The other major criticisms of CARSI are a lack of compliance from host governments, making CARSI ineffective and unsustainable, and a misguided focus on inputs as opposed to outputs. Host governments in this region refuse to comply with anti-corruption measures and anti-violence programs, only accepting aid in the form of weapons and anti-narcotics measures that ultimately exacerbate the ensuing crime and violence. These governments also refuse to contribute financially to reforms and aid packages, making long term sustainability impossible. With the continued funding of narrowly-focused aid projects, the U.S. is bolstering corrupt governments in this region and only compounding instability and violence. The U.S. must halt further financial and military aid until it is able to develop a comprehensive program that is centered around community and civil reconstruction. Such programs must address core issues, which include rebuilding the tattered relationship between law enforcement and citizens, restructuring a weak and inefficient justice system, overhauling the corrupt central governments, and improving the economic prognosis of the country through education and sustainable development in both rural and urban communities. Along with the development of this program, the United States must also develop a means to measure the effectiveness of its program, thus holding the involved institutions and governments accountable. While the Northern Triangle Migration Crisis has worsened in recent years, there is hope for new programs, such as the Alliance for Prosperity, which is a joint effort by the countries of the Northern Triangle to stabilize the region, and the U.S. Strategy for Engagement in Central America, which has increased spending focused on security, governance, and economic stability. In January of 2016, Costa Rica entered into the Protection Transfer Agreement between the UN Higher Commission for Refugees and the International Organization for Migration that allows for the transfer of those in immediate need to Costa Rica while they undergo refugee processing and await transfer to the U.S. The U.S. also announced plans to establish a referral program within these vulnerable countries for those who are not in immediate need of transfer to apply for refugee status and transfer to the U.S. or another country while also announcing the expansion of the Central American Minors program. While such programs are promising and a step in the right direction, there is still a need for external programs and foreign aid projects to address the root causes of the Northern Triangle Migration Crisis, which must be a combined effort by all parties involved.